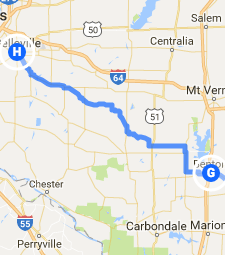 Trip Log – Day 308 – Benton IL to Belleville IL | How Will We Live Tomorrow? One look at the window this morning told me rain was on the way. They interrupted the TV newscast of crime, bloodshed, and accusation to describe a storm of Biblical proportion, a giant boomerang of red thunderstorm warnings across our nation’s middle. If we heed the weather warnings we’ll never venture out of doors. If we succumb to the news fears we’ll suspect every neighbor of a crime. When does this message of fear cease? 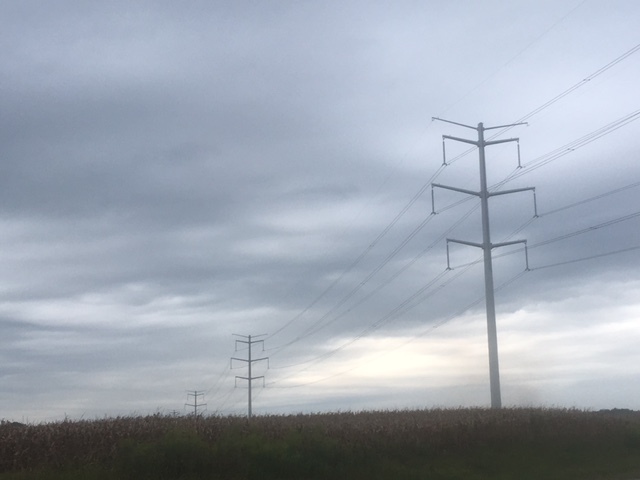 Despite the warnings, I cycled out of Benton and enjoyed hours of wonderful riding; plenty of corn to keep me in good cheer. 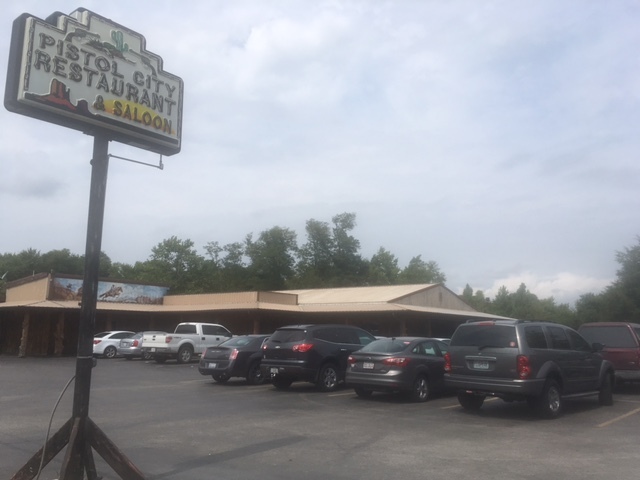 The lunch buffet at Pistol City Restaurant and Saloon in Coulterville compensated for the food desert I pedaled through yesterday. Fried chicken, roast pork, brats with onions, a solid salad bar, tasty stewed tomatoes, and the absolute best peach cobbler I’ve even eaten. I downed two servings of that. The tab? $7.59 plus tax and tip. Come afternoon the rains arrived. I got wet. I persevered. But I did not get swallowed by that big red boomerang or flooded out in a ditch. I arrived at my host’s on time; a little soggy but no worse for the weather. This entry was posted in Bicycle Trip Log and tagged Belleville IL, Coulterville IL, Pistol City Restaurant and Saloon. Bookmark the permalink.